For Indians Kashmir is a part of India, and most of us fail to understand why Kashmir would want to associate itself with Pakistan, a country under siege. Despite living in India, until I read Basharat Peer’s Curfewed Night I did not understand the horror of the Kashmiri experience . Perhaps also because I only knew the official version or the version of my Army family and friends. In The Book Of Gold Leaves Mirza Waheed provides a glimpse of what it means to be in a conflict zone. How ordinary lives are impacted by daily humiliation, how young men take the tough decision to become ‘militants’, how well meaning individuals, Kashmiri or Indian are caught up in a web of deceit and misunderstanding – and how love is the only savior in all the madness. Young Faiz is a papier mache artist who must work to support his once rich and still well respected family. He falls in love with Roohi, and his love is reciprocated by her, and they create their own special world. In the privacy of the shrine they both get to know each other and want to spend their lives together. Yet, there is much that separates them – Faiz is a Sunni, and Roohi a Shia. Faiz is poor and and Roohi’s family has money. Faiz is unlettered and Roohi is educated. As their love blossoms, there are changes in their Srinagar. The girl’s school building is occupied ‘temporarily’ by the Indian forces, and the army man Major Kumar is polite and well meaning. As the Zaal weaves terror on the streets of Srinagar and tensions escalate between the Kashmiris and Indians, everyone begins to change and normal social rules are suspended. Mirza Waheed spins a beautiful tale of love and romance in one of the most conflict ridden places on earth. The plight of the Kashmiris, as they are caught between an ever increasing presence of the Indian forces and Pakistani trained militia is heart-rending.The book brings to fore the fact that there are no clear answers or solutions to the conflict – or perhaps there are but the battle lines are too strongly entrenched now. The history of Mirza Waheed’s family finds place in the book in a unique manner. Like Faiz, Mirza’s grandfather was a much admired, albeit a lazy papier mache artist. (He created a piece or two every six months). The cover of The Book of Gold Leaves is Mirza’s grandfather’s piece, and one that his uncle gave him much after the book had been written and submitted to the publisher. The colors of the mild (cover) were still vibrant after over a hundred years because of the quality of paints used. 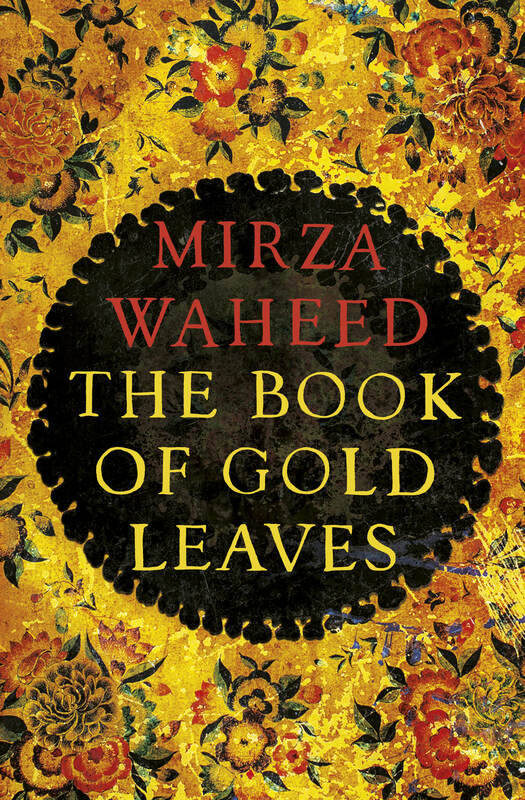 Mirza’s grandfather’s Book of Gold helped create the link between the past and the present, and now graces the cover of Mirza Waheed’s The Book of Gold Leaves. 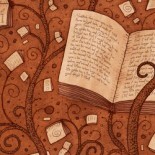 An extremely intriguing review and story. Putting it on my TBR for 2015. Intriguing review and storyline. Putting it on my 2015 TBR list. For Indians? Never mind them, what about Kashmiri’s ? And most I know despise both India and Pakistan, rightly so and wish to be independent. I visit Kashmir, once every few years, I’ve never come across any conflict thankfully. This entry was posted on June 17, 2015 by Preeti Singh in Book Reviews, Contemporary, Fiction and tagged india, Kashmir, Mirza Waheed, The Book of Gold Leaves.